I have put an extension on one side of a rendered red brick 1920's bungalow which has red brick cavity walling. The extension is tied on and also has its own insulated cavity walling. As I didn't want to fill the cavity walls, all the internal sides of the external walls in the entire house are being lined with thick celotex insulated plaster board. However, this now means that I have an internal wall (the old external cavity wall) that has a cavity within it sharing cold air from the cavity wall surrounding the rest of the original bungalow. Should I be sealing off this cavity so I don't have a cold wall in my insulated house? How do I do this? Perhaps remove every other brick and try to brick a column in to bridge the gap after the turn of the corners? Then fill the internal cavity with poly beads? Or unlike how I'm doing the external walls with celotex, and because of construction/design, instead use a thin insulating board (eg expensive Aerogel Spacetherm)? I am considering this for an external wall at the other end where putting the thick insulation board would reduce an already more slender side recess to a central chimney/fireplace and make the room look awkward. You should be able to source via Google, or visit a Brewers paint store, who can supply. If you are reasonable at D.I.Y. you may be able to do yourself, alternatively have done for you. 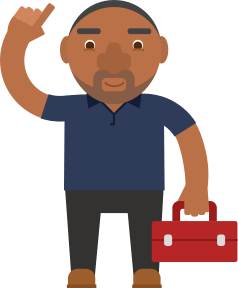 Post a job on MyBuilder to find quality, local Insulation Installers who can help you with your project. Cavity wall house: insulate external only or external plus cavity?